Did you know that fishing nowadays is far more successful than ever before? The reason is simple. The equipment you are able to use today is far better and far more sophisticated than a few years back. Of course, this means that you need the latest gadgets and the pieces of equipment if you want to explore the full potential of fishing. Of them all, we can see one brand rising from the crowd. They are 13 Fishing and they are completely different than any other brand. 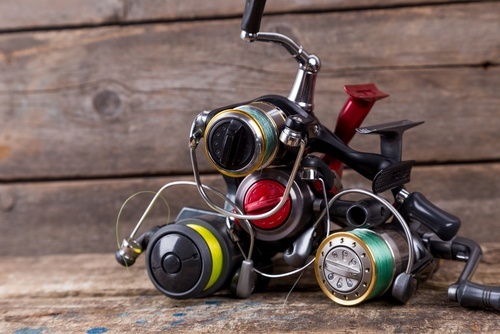 Here are 13 fishing reels reviews of 3, the best-selling models on the market. This, new fishing reel is the masterpiece in the lack of a better word and it is one of a kind model out there. The design is obviously the main advantage. The first time you hold it in your hand you will see that it is well-made, looks solid and it offers a high level of attention to details. Of course, this is a mid-range reel, so don’t expect too much from it. Anyway, it looks special and we loved it. Features are advanced as well, so you are looking at new gearing system, saltwater protection and 30+ pounds of drag. The only drawback is the grip of the handles. They look obsolete and they are not appropriate for the reel of this design. Yes, this reel can be used in the saltwater as long as you want. It has a new type of water protection. The manufacturer claims that they used a special type of lubricant and protection so the water can’t damage the internal components. You will see the blue grease the first time you disassemble the reel. It may be an issue for some, perfectionists, but keep in mind that this is a true advantage. The second main advantage is the new gearing system. First of all, it is made of brass and it is adapted for heavy-duty use. The mechanism is designed and made using Japanese accuracy so it is a masterpiece. You will enjoy using it. We know we did. Saltwater protection is present in this 13 Concept C casting reel as well, despite the fact the design is completely different than the first model on the list has. Anyway, this reel is made for more advanced users and those who will be able to explore the overall power of the unit. It is available in different sizes and it comes with a high level of attention to details. Sadly, the cork handles are still present. We must add that they are great to use, but they don’t match the rest of the design. This reel is modern and sophisticated, so it deserves a new type of handle grips. 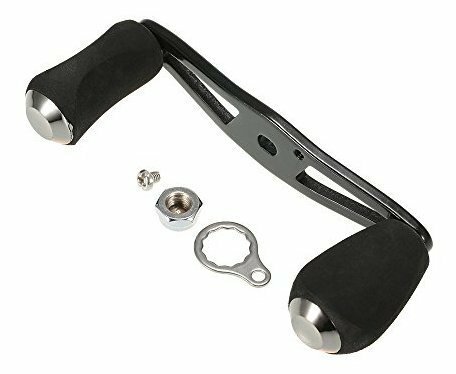 Additionally, you will want to know that the model is made of solid aluminum and it comes with advanced 6-way Centrifugal Braking System. The main elements of the reel come made of stainless steel. This is known as an upgrade, meaning that the gearing system and the main components inside the reel can withstand a higher level of pressure and force. This is the main reason why we believed the tested unit is suitable for advanced users. It also means that it is going to last extremely long. Finally, you have an opportunity to choose the same reel in a different size. As such, you can look between the most suitable size for your type of fishing. We tested Concept C model but there are slower and faster units out there as well. 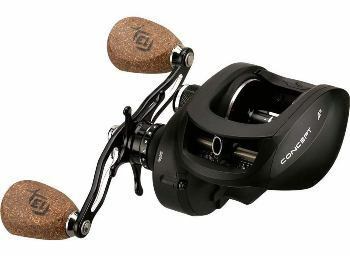 Sadly, it may be impossible to find slower reels of this design, probably due to increased demand for them. The unit in question is smaller and lighter fishing reel of the newer generation. It is also based on the latest technology and it comes with a lot of advantages. First one is red color. There are no many red reels out there. This makes it extremely appealing and desirable at the same time. 13 Fishing Concept Z review of the owners are positive and highly awarding actually. It is also available in 6.6:1, 7.3:1 and 8.1:1 gear rating versions. We tested the fastest one (8.1:1) version. The reel is packed with the latest technology and comes as a fresh addition to the market. You will appreciate the overall attention to details and the overall aesthetics. We should add the fact it also offers saltwater protection. The system uses polymer technology or better said a combination of two different materials. The main idea is to reduce friction, make the operations simpler and smoother, but also more comfortable. We tested and we compared this technology with older versions and we are more than just satisfied. The experience is so much better. The tested model is available for left-handed and right-handed fishermen. This isn’t the main feature of course, but it is important simply because it is rare. There are no many reels that come designed and made in these two combinations. Sadly, the left-handed version is a bit more difficult to find. We have mentioned the most popular 13 fishing reels reviews of three models that make a difference. However, the chances are high that you are still looking for a great reel made by other manufacturers. If that is the case, then you will need a buyer’s guide. 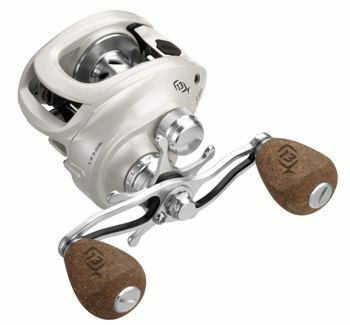 Below we will mention all the main factors to consider when looking for a new reel. After understanding them, you will become a professional. A reel must be comfortable at all times. This can make a difference between fishing for hours and want to go home in a minute! 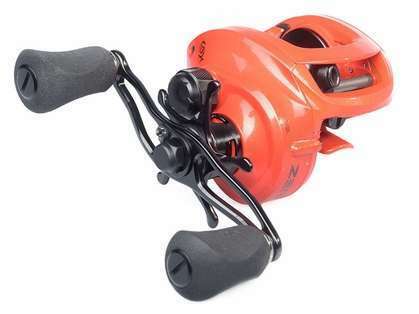 Make sure that the reel you are considering has a nice handle, strong grip and it is designed to provide the comfort. An obvious example is the 13 fishing concept Z. Have you ever wondered why all, new fishing reels are made of aluminum and magnesium? It is because you will need the lightness. After all, you will hold the rod and the reel at all times in your hands and you will need as low weight as possible. Luckily, all 13 Fishing reels are lightweight and they are made of advanced materials. You are free to choose any of the models available on the market right now and you won’t make a mistake. Design normally isn’t the factor to consider and it depends on individual preference. However, in this case, scenario, it must be taken into consideration. After all, reels made by this brand are special and completely different. All we can add is that you should make sure that the design doesn’t have a negative impact on the functionality of a reel. It still must be as comfortable as possible to use and it must meet all your expectations. Of course, be free to be led by your desires, so choose the one that you simply want the most. A handle is one part of a reel which will literally be in your hands at all times. That’s why you must make sure it is extremely comfortable and practical to use. We liked longer and more sensitive handles than shorter ones. Of course, the grip at the end of the handle is the next main thing to consider. Look for units made of EVA foam or cork. We prefer EVA foam because it is a modern alternative. However, traditionalists like cork handle grips. Drag is a complicated factor to explain. 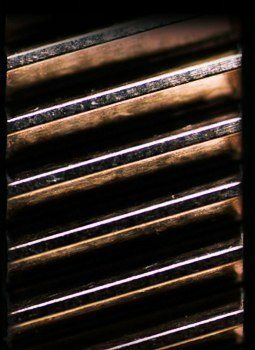 Basically, it refers to the movement inside the reel. The best comparison we can give to you is that the drag is like the suspension on a car. It should absorb shocks. As the suspension on a car, there are different options here. You can get a hard or a soft drag which is determined by the pounds of drag. 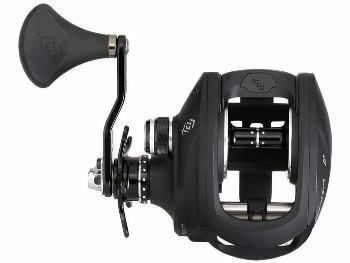 Even if you have the best gearing system in the class, but the worst drag system, your reel won’t be very great! That’s why you must make sure that the drag system is great as well. Inches Per Turn is a term which is better known as IPT and it refers to the length of the line which will be retrieved onto a reel with a single handle rotation. Keep in mind that a single rotation should offer you a decent line retrieval and you should consider this factor in general. Reels with a long line or with a higher line capacity should have higher IPT. A line capacity refers to the length of the line which will be loaded onto a reel. There are a lot of possibilities here and we can say that each reel is different. Look for the number associated with the particular reel. For example, 400 means that 190 yards of line is the capacity. 7000 will have more than 250 yards of line. 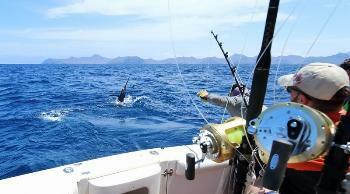 Basically, you can make the most suitable choice based on your fishing requirements. For most of you, longer lines are better, but they do affect the comfort and the lightness of the rod. All reels come with adjustment capabilities. Here fishermen can adjust the braking and the overall efficiency of the reel. Look for the wheels which are easy to use especially with wet hands. Also, pay attention to the sensitivity of the adjustment mechanism. They must be as accurate as possible and without any issues. Some reels can be used in all conditions, while others can’t be exposed to the saltwater. This makes a difference and can limit your fishing! Look for reels that are rated for seawater protection. Here you were able to see armor protection which is actually based on a special type of sealant and which makes all reels immune to the salt water. This is the system that allows for you to retrieve the line. The housing must be made of strong materials. The gearing system inside must be accurate and precise at all times. 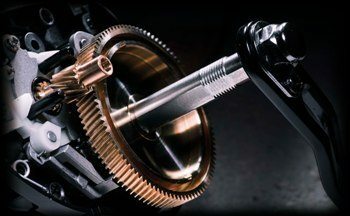 Furthermore, the gears must be able to withstand a lot of stress when used for a long period of time. This brand is probably revolutionary when it comes to gearing systems, so we will say that each one is a safe choice. Gearing ratio refers to the number of times the rotor will rotate around the spool with a single handle rotation. As such, we were able to see 7.1:1. This means that the rotor will rotate 7.1 times with a single handle rotation. Think of this is the speed of the gearing system. The higher the number, the faster the system will be. The slower the system, the slower the reel will be. 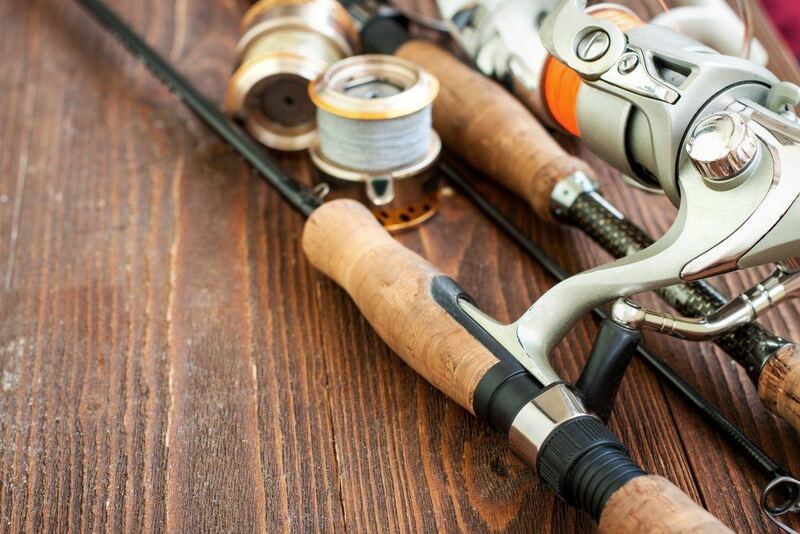 From the 13 fishing reels reviews we have mentioned here are the safest choice you can make if you decide to choose this brand and reels made under their name. The Concept A3 8.1: Gear Ratio Fishing Reels is the absolute winner and the first fishing reel of this kind. It has 5 out of 5 stars and it is a masterpiece in a small package. We were impressed with how it looks, how it operates and with the attention to details. In general, it is the best model here and the one we will highly recommend. Other two are the leaders in their classes and they are definitely worthy of your consideration.